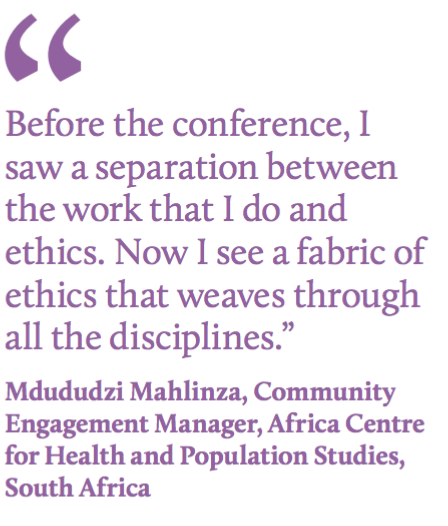 Community Engagement – Under the Microscope is a report which documents conversations that took place at a Wellcome Trust workshop in Thailand in June 2011. The workshop aimed to understand the variety of motivations for community engagement and the forms that it can take. At the workshop, artists, dramatists, film makers, writers and poets shared creative methodologies to inspire new approaches to community engagement. Activities presented at the workshop included, participatory films with local communities in Kilifi, Kenya which aimed to open up spaces for dialogue and help researchers to identify and analyse issues important to young people; participatory films exploring maternal and neonatal mortality in which woman groups shard their own experiences with other woman in different districts of Nepal on giving birth and reproductive health. And finally, The Wellcome Trust Centre for Human Genetics, Oxford. This project used participatory film to stimulate conversations about community engagement were staff from the Sanger Centre and Genetics institute reflected on what community engagement meant to them. A roundtable discussion allowed staff to share their motivations as well as some of the challenges they face in conducting engagement. 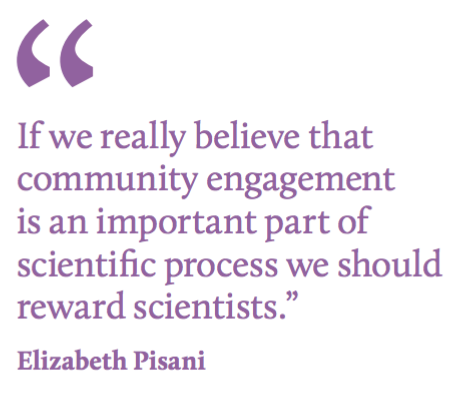 The publication also outlines some of the challenges practitioners face when conducting public engagement initiatives. Discussions covered challenging topics such as the ethical parameters around health research (working with vulnerable groups, gaining informed consent, managing sensitive information) and community engagement as an approach to address such concerns. The discussions drawn from the workshop can serve as a useful guide for biomedical researchers and engagement practitioners in examining their own goals for engagement.